Experienced Immigration Lawyer. Connecticut, New York, Nationwide. Our Law Firm represents businesses and individuals in legal matters involving United States Immigration and Naturalization Law. Our clients include private individuals and global manufacturing companies, information technology corporations, technology start-ups, hospitals, physicians, universities, schools, artists and athletes, other businesses and non-profit organizations. We represent our clients before the United States Citizenship and Immigration Service (USCIS), U.S. Department of State, U.S. Department of Labor and in the Immigration Court. Immigration matters are governed by Federal Immigration Laws. United States Citizenship and Immigration Service (USCIS) has offices in every state. Major Immigration Service Centers are located throughout the United States and serve large regions or specifically designated types of cases. We can prepare and file your case anywhere in the United States. 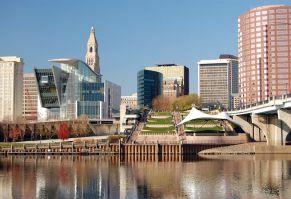 Our Connecticut and New York attorneys represent clients in many states including Connecticut, Massachusetts, New York and Rhode Island. We are available for consultations in our Hartford, New Haven and Stamford offices. Call(860) 756 0940.